Seriously though, I think they both balance each other out quite well. I can see why a business would need and want both on the payroll. Thinking before leaping is an advantage, I think. But on the flip side, risk taking can be too. 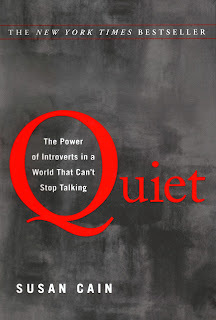 I think the biggest disadvantages to introversion are the stigma and how American society pushes extroversion so hard. Literary Feline ... I completely agree with you! Our society definitely praises extroversion more than introversion, but we really do need a balance of both. The strengths really can build off of each other.